Facilitators from Northwestern introduced students at William H. Brown School of Technology to a Tunepad. TunePad is a learning platform that combines music creation with python computer programming. Kids express themselves creatively by remixing popular music or coding their own beats from scratch. Along the way, they pick up important programming concepts from variables, loops, and functions to abstraction, modularity, and debugging. Facilitators from Northwestern introduced students at Jordan Community Elementary School to a Tunepad. TunePad is a learning platform that combines music creation with python computer programming. Kids express themselves creatively by remixing popular music or coding their own beats from scratch. Along the way, they pick up important programming concepts from variables, loops, and functions to abstraction, modularity, and debugging. Facilitators from Northwestern introduced students at R. Nathaniel Dett Elementary School to a Tunepad. TunePad is a learning platform that combines music creation with python computer programming. Kids express themselves creatively by remixing popular music or coding their own beats from scratch. Along the way, they pick up important programming concepts from variables, loops, and functions to abstraction, modularity, and debugging. 6th grade students at Sherman School of Excellence learned about the engineering approach of design, build, test, and communicate from volunteers at IBM. Students went through the engineering approach by creating their own footwear. They designed shoes to solve problems or add value to shoes that are already on the market. Facilitators from Northwestern introduced students at Sherman School of eExcellence to a Tunepad. TunePad is a learning platform that combines music creation with python computer programming. Kids express themselves creatively by remixing popular music or coding their own beats from scratch. Along the way, they pick up important programming concepts from variables, loops, and functions to abstraction, modularity, and debugging. HACEMOS - Chicago Chapter and Microsoft Chicago, S.T.E.A.M. students at William H. Brown School of Technology built joysticks with cardboard and copper tape and used it to view 3-D rotations of digital shark models. The students connected the joystick to Excel with a microcontroller so they could gather data on the shark's movement while driving through a virtual marine environment. HACEMOS - Chicago Chapter and Microsoft Chicago came to Sherman School of Excellence for our S.T.E.A.M. Pop-up session to teach students how to build a sensor that lets you control a finger with your hand. They used a sensor, a Microsoft Surface and Excel to visualize hand movements. Students at R. Nathaniel Dett Elementary School learned how to create their own logos using an iPad. 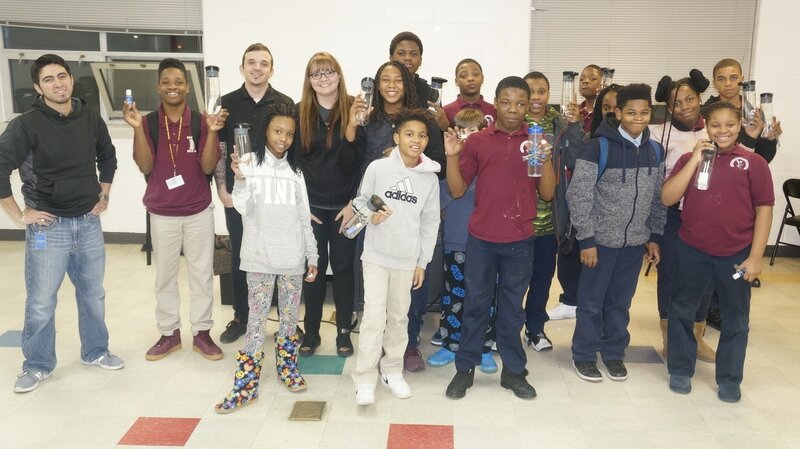 AT&T came to William H. Brown School of Technology to teach students how drones work. Students put on a virtual reality headset and were able to watch the drone flying through the drone's camera. 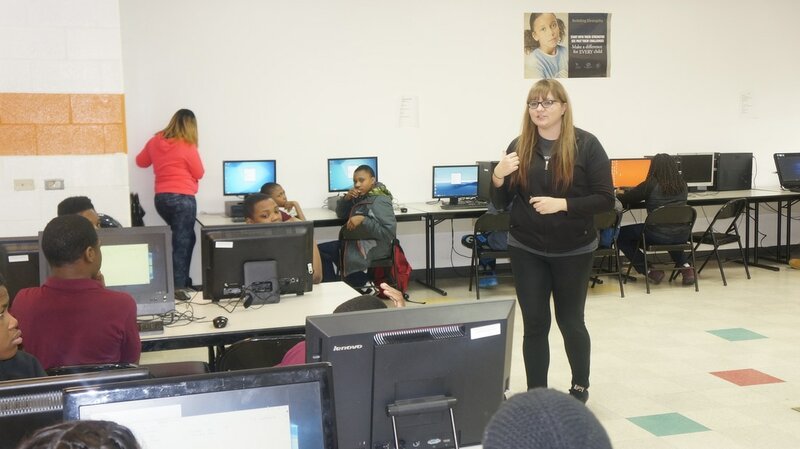 Feb. 1 - Students learned how to write a research paper using Microsoft Word. Nov. 16 - Freshman students from Richard T. Crane Medical Preparatory were introduced to sports nutrition. Oct. 27 - JRJF's STEAM Pop-up Sessions features Microsoft. Students learned how to use Microsoft Powerpoint and best techniques for presentations.